Online Learning Platforms, or online course platforms, provide an architecture to create online courses and other educational products. Online Learning platforms are used by businesses, educators, or solopreneurs to create, author, and/or self-publish educational material. Some provide an existing marketplace on which to sell online courses or help businesses market their content. Online Learning Platforms provide tools to create customizable study materials and streamline tasks, freeing up educators to focus on providing engaging, high-quality lessons. Some platforms allow instructors to integrate adaptive learning technology into their courses, offering a consistent experience across products. Online Learning Platforms are often implemented as standalone platforms, marketplace online course platforms, or all-in-one platforms. Additionally, this platform might be sold as an integrated solution within a learning management system (LMS) to help users administer their overall eLearning program. Online Learning Platform reviews by real, verified users. Find unbiased ratings on user satisfaction, features, and price based on the most reviews available anywhere. The GO1 Learning Platform makes learning management simple. Designed for personalized learning, advanced content curation and streamlined user management. Customise the GO1 Learning Platform's look and feel, so it fits seamlessly as part of your organisation. For Administrators, the GO1 Learning Platform makes it easy to create your own training programs, by using the advanced course creation features to customise and combine GO1 Premium content with your original resources. The learning item re-use functionality, also assists you to develop content with ease and maximise the value in the content you deliver. If its compliance you are trying to manage, the platform's Awards learning type, makes it simple to track training against a numerical target over a period of time. Or nest Awards, to unlock access for users to enrol in more learning, once they complete each level. Via the modern interface of the GO1 Learning Platform, your users can discover new learning, with GO1’s personalised insights feature. Content insights will come from the GO1 Marketplace content available free with your platform, or you can extend your user's learning experiences and insights, by subscribing to GO1 Premium, which natively delivers thousands of leading training providers content directly into your learning platform. The sophisticated Administrator reporting functions bring all your learner data together and help you accurately track learning completed for each user. Reports are easy to construct, and you can develop them with different levels of detail or use pre-configured reports GO1 provides. Extend the GO1 Learning Platforms capabilities, by opting in for GO1 enterprise features like SSO and structured data feeds. Or, GO1 integrates with all of your favourite products, use the public API to integrate GO1 with your existing systems, to manage your data and scale your human resource management. All customers have access to full support services 24 hours a day, to troubleshoot and assist you in your learning experience. Tutorial creation made easy. Instantly make guided, step-by-step directions for any website. Directly in the browser. iorad has a perfect five star rating because we’ve designed a great, no-BS experience. Check this out: Step 1: Interact (browse, click, type) with a website as you normally would. Step 2: iorad captures and identifies every action. Step 3: iorad automagically generates a step-by-step tutorial for you to share. iorad is the quickest and easiest tutorial creator on the web. No time wasted video editing or picture labelling. 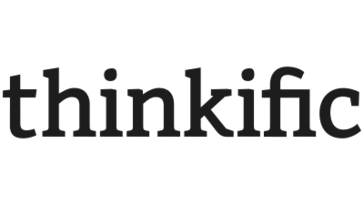 Instantly publish to zendesk/freshdesk/salesforce/helpscout/confluence and many more! Sapling Learning offers online learning platforms and integrated digital solutions for the science, technology, and mathematics markets. Cloud-based Digital Learning Environment for Computer Science. Automated grading of code and data assignments. Made for instructors by instructors. Echo360 is on a mission to transform teaching and learning through active learning technology. We're a company founded by engineers, comprised of engineers, building the world's largest cloud computing school to teach engineers. We’ve delivered training to more than a half million students, and we're still on a mission to teach the world to cloud. And we have fun while doing it. CodeHS is a comprehensive teaching platform for helping schools teach computer science. CourseCraft provides tools to build superbly designed self-paced online courses.The easy way for #creatives to build an e-course and sell it. 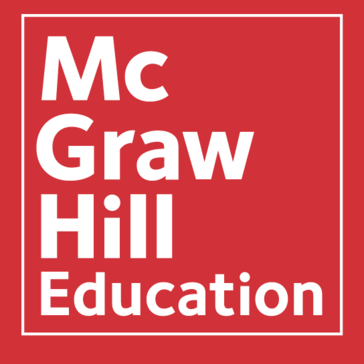 McGraw-Hill Create is a self-service website that allows to create custom course materials by drawing upon McGraw-Hill Education's comprehensive, cross-disciplinary content. Enrollware is the complete online class registration and management solution for continuing education, healthcare, and corporate training. Open eLearning is free software, providing an eLearning development tool. Open eLearning is one of the most popular open source eLearning Authoring Tools. It has been used for the design of eLearning courses for all Learning Management System With SCORM compliance and mobile responsiveness for playback on all devices, ease of use along with a good amount of advanced features. Zippy is an all-in-one tool for teaching and selling online course. Built by course creators for course creators. Academy of Mine is an all-in-one platform to create, sell and market Courses. ClassManager is a full-function class management, billing, marketing, and course registration application designed to be used by small, medium and large schools. Click 4 Course is the easiest and fastest way to create, offer and track online courses. Click4course software will create self-paced courses on a company-branded website that can be viewed by almost any computers or mobile devices. CourseManager.Online is a cloud based tool to make training course scheduling easy. Award-winning and trusted by more than 100 organizations across the globe, Curatr gives you the tools to build and deliver engaging online courses that get people talking. Our approach is rooted in Social Learning. Curatr uses the best of the content you already own to help trigger conversations, encouraging learners to add back their own content using live video capture and rich text chat as part of the learning process. Clients who use Curatr report stunning results, high engagement and huge cost savings. Delivered Software-as-a-Service to any device, you can start using Curatr today. Start your eLearning business for the modern web. La plateforme LMS proposée par cyboolo est principalement dédiée aux freelances et travailleurs indépendants. Il s'agit d'une Marketplace | Paas eLearning qui permet de créer un site internet et d'y publier des cours et des formations en ligne. Avec cyboolo, on peut vendre ses formations ou les proposer gratuitement, très facilement et rapidement grâce à une interface simple et intuitive qui peut être utilisée sans devoir apprendre à coder. Si tu sais utiliser un éditeur de texte, tu sauras utiliser cyboolo. La création de contenu se fait directement depuis son explorateur web qu'il s'agisse de textes, images ou vidéos. Solution tout-en-un qui permet de retrouver au sein d'une même application web l'ensemble des outils permettant de gérer sa boutique de formations en ligne: - Utilisateurs et formations illimitées - Création et hébergement d'un site web https - Stockage de données multimédias (textes, images et vidéos) - Générateur de mentions légales et conformité RGPD - Système de paiement intégré (via Mangopay) qui permet d'accepter des paiement par CB dans toute l'UE. Les freelances et les travailleurs indépendants ont ainsi toutes les fonctionnalités pour devenir formateur indépendant en ligne en quelques minutes. Ceci permet, en fonction de ses objectifs de: - Créer un site internet et assurer une présence sur le web - Transmettre sa passion, ses connaissances et savoir-faire - Faire connaitre son entreprise et son activité d'indépendant - Valoriser ses compétences et booster son image de marque - Créer sa micro entreprise et vendre une formation en ligne - Développer un business et gagner de l'argent sur internet - Accroître sa notoriété et devenir micro influenceur Formule Standard gratuite qui permet de démarrer sans aucun frais mensuel. Formule Premium à partir de 30€/mois qui permet d'accéder à plus de fonctionnalités (marque blanche, traitement vidéo supplémentaire, ...) Programmes d'affiliation en cours de développement. Conçu pour les indépendants, les freelances et les petites entreprises. Que tu sois thérapeute, coach, freelance, artiste, artisan ou consultant et quel que soit ton statut auto entrepreneur, micro entrepreneur, EI(RL), SASU, EURL, cyboolo est la plateforme LMS que tu attendais pour créer tes cours en ligne. GreatLearning is an online learning platform that helps working professionals develop competencies to achieve career transitions & growth. Homer is the most comprehensive early reading platform of its kind. Homer inverts traditional learn-to-read systems by beginning with the child’s particular interests and skill level rather than providing a one-size-fits-all approach to reading. Invanto platform makes building online business fun again. Easily build online courses, membership sites, training portals, and a lot more. Hi there! 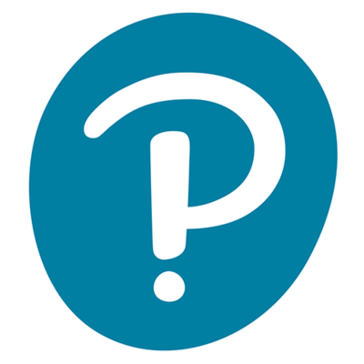 Can I help you find the best Online Learning Platform solutions?